Along with your mission and vision statement, when writing your business plan you need to convey your company’s core values and principles. 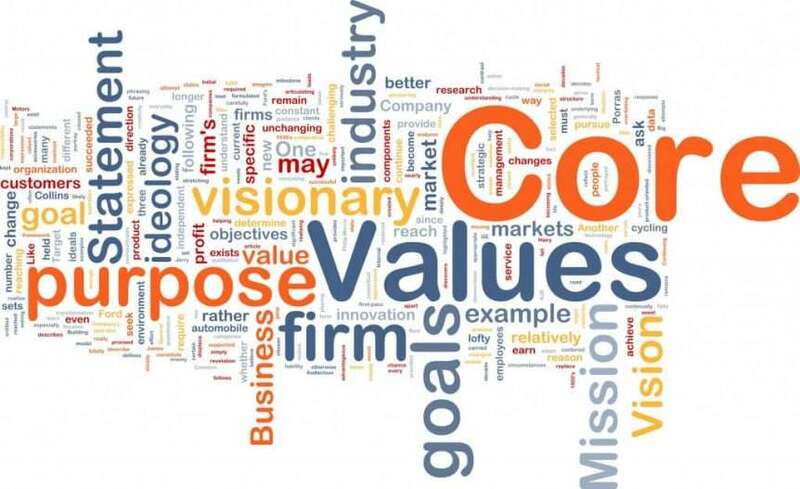 A company’s values and philosophy act as a “guiding beacon” that underpin your mission and vision and provide your business with a purpose beyond making a profit. The importance of stating what your company stands for should not be underestimated. In a crowded market, your values and philosophy may be the only way to differentiate yourself from your competition. Corporate social responsibility means behaving responsibly, and also dealing with suppliers who do the same. Becoming carbon neutral, reducing waste, procuring fair-trade products and only purchasing goods from foreign manufacturers that respect child labour laws are all examples of social responsibly. Without customers, there is no business. Excellent customer service is crucial in the current business environment, it results in. Make sure your values include how your business will treat its customers. In today’s knowledge economy, one of the most valuable commodities is communication. Modern company’s need to have a communications strategy and understand how to communicate to customers, suppliers, partners, employees and the media using traditional and emerging channels such as social media. It is a good idea to include your expectations in terms of the output you expect from your company. Many business‘s states that they “strive for excellence”, however, try to make your expectation as tangible as possible. Innovation is the introduction of new ideas, goods, services, and practices. It’s not just about new technology. It’s about new ways of doing things: new methods and new processes. There are opportunities for innovation in everything we do: in customer service, sales, business development, operations and product development. Innovation helps businesses provide value and allow them to become sustainable. In a proliferated marketplace in most industries, your company values are one way of differentiating from the others and can help attract employees and customers. Modern businesses are encouraged to adopt a “triple bottom line” with the social and environmental impact measured with financial performance. Whether you need a business plan for investment, funding or internal management we have a number of business planning services available. Visit our business plan writing services page and fund out how we can help you.